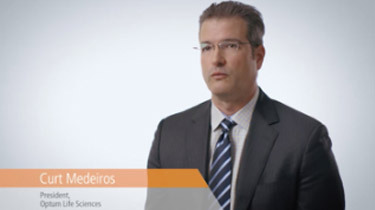 What does the emergence of clinical and integrated data mean for life sciences companies? What we've done by bringing together the electronic health record data is really enabled our clients to have a much more detailed view of the clinical profile of their patients and a view of the interaction between the physician and patient at the moment of prescription, so that way our clients can better target their sales, marketing, and their clinical differentiation with all stakeholders in the marketplace. When we look at the data, we can provide true insights in what's going on with the patient, understand the patient pathway, and the resulting outcomes. We can then translate that with our clients into actions that they can take in clinical development, in access, in pricing, and in commercial go-to-market strategies that can benefit the patient and the provider as they bring information to market. We're in a position to combine health care utilization and cost data from claims, clinical data capture via electronic health records and patient-reported outcomes collected via survey. That provides us a complete, comprehensive picture of the patient experience. It also allows us to see broadly across the entire health care system. So, it's not just the interactions with their PCP, but also the specialists, their in-hospital stays, or anything they may do at a clinic or a pharmacy. It's really a holistic view of the engagement of that patient with the health care system. The sheer ability to capture medical claims, pharmacy claims, lab claims, radiology claims, physician notes is something that we believe is not surpassed by any other provider of data. 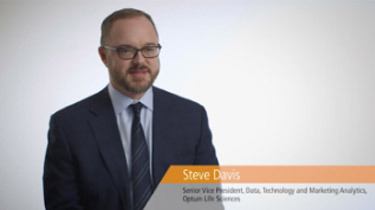 So, what Optum Life Sciences does is really work hand-in-hand with the data, with our clients and partnerships to understand where they need to go, where they need to take it and how they can inform the system, the, really the health care system, about the gaps in care and how they can provide value to the market. Researchers in my field are rejuvenated at the prospects of the impact that we might have with these electronic health records data. It's a new world of information with a new range of opportunities to improve public health. What I am most excited about in my job with this data is the question I haven't been asked yet, because it's always an opportunity for us to solve a puzzle that we've never been given before and it's our job to mine that data, to find the solution space, and help our client understand what actions are available to them as a result.